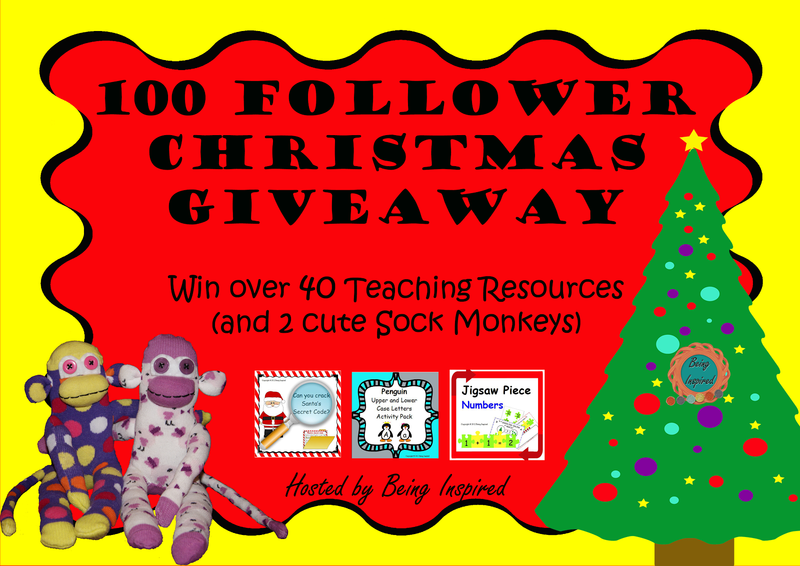 Being Inspired: 100 Follower Christmas Giveaway!! I can't quite believe that this little blog of mine has 100 followers!! And just today it hit 20,000 page views!! I remember when I started it I was getting about 20 or 30 page views a day (and most were probably from my mum!) and I watched the follower numbers creep painfully slowly from 2 to 3 to 4. And now there are 100 of you!! And lots more following through Facebook. :) Well you're in great company because each and every one of you is awesome. I really do love the comments you leave and I love visiting your blogs and seeing what's happening in your lives and getting some inspiration! Here's are all of the amazing teaching resources that have been donated. And once again, thanks for reading! I was #98! Found your blog yesterday and had fun exploring. Thanks for sharing your creative ideas with us! Having Noche Buena on Christmas Eve where everyone gathers together for a big feast, followed by opening of presents! I am your newest follower of your blog and on TPT! Love your giveaway...sock puppets are so cute. Thanks for all you have shared! ps- If you get a chance, check out my new blog! Hope to have 100 like you someday :) Also my favorite part of Christmas is Grandma's scalloped potatoes! As for something I look forward to the most, spending time with family and Christmas movies! My favorite is the family cookie exchange! I would have to say decorating. Oh I have seen and pinned some of your cute ideas already ! Glad I found your blog. I love just relaxing with family but more specifically making Christmas cookies. Thank you for your willingness to create the awesome blog and share it with us! I love decorating the tree most of all; unwrapping each of those memories from Christmas past! Baking Greek pastries that have been made for many generations in my family! Christmas Eve dinner, Christmas breakfast. Driving to see the lights. i look forward to putting up the tree! I just want to thank you so so much! Today when I got home and opened my mailbox I found it was stuffed full with a package all the way from Ireland! Inside were the most thoughtful gifts...how sweet of to you to send the cutest little sock monkey and more. Mmmm real Cadbury Chocolate and other nice items! 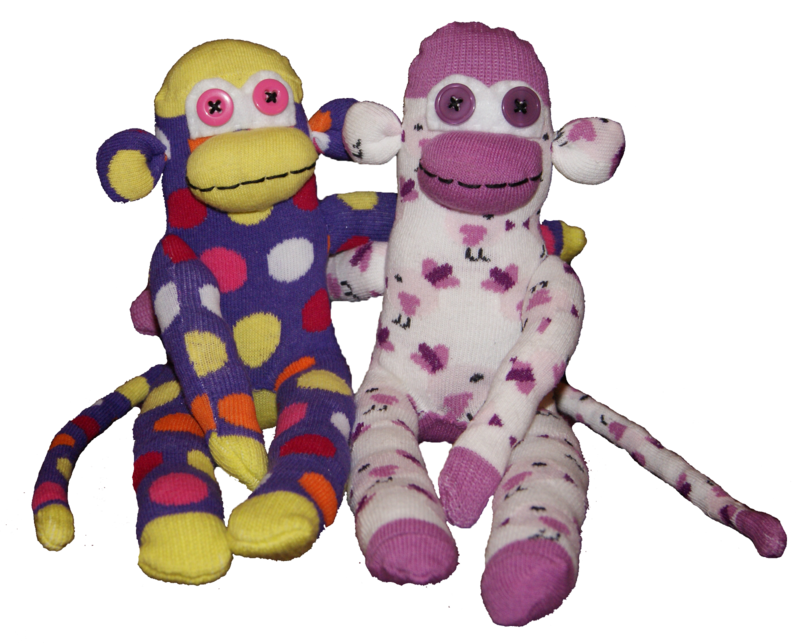 I absolutely love the Sock Monkey and he will reside in a place of honor forever! Thank you again and Happy Holidays!! Feel free to email me at blog.beinginspired@gmail.com either!